Introducing Filomena Buscarsela, born in poverty in the mountains of Ecuador, now a streetwise New Yorker with a fresh, distinctive voice and a caustic sense of humor, determined to devote her life to helping others. The problem is that as one of the first latinas on the NYPD, she is not just a woman in a man’s world, she is a woman of color in a white man’s world. And it’s hell. Mistreated and double-crossed by her fellow officers, she is required to enforce unjust drug laws that she disagrees with and betray her own community. Set in the early 1980s East Village art and punk rock milieus of Reagan’s increasingly polarized America, a murder case leads inexorably to an investigation of corporate environmental crime. 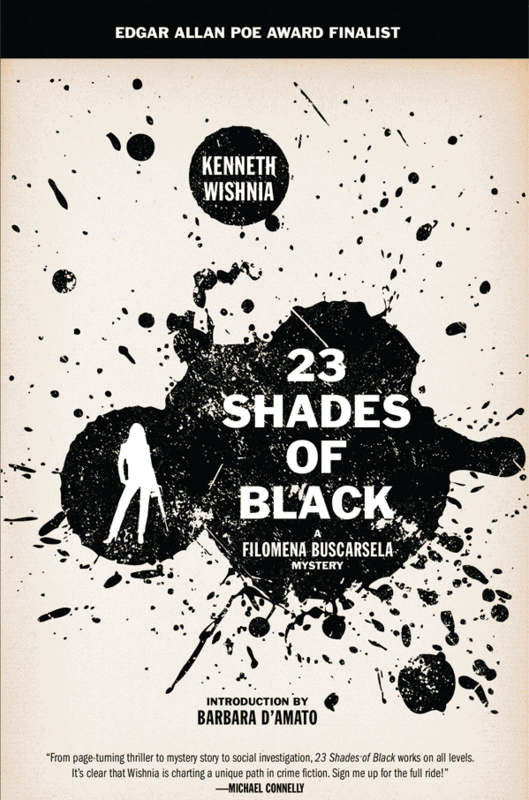 23 Shades of Black is the first of Kenneth Wishnia’s novels, featuring the irrepressible Filomena Buscarsela. All five—including Soft Money, The Glass Factory, Red House, and Blood Lake—are being reissued in definitive editions, with new introductions and extra stories, by PM Press. His latest novel is the historical mystery The Fifth Servant.